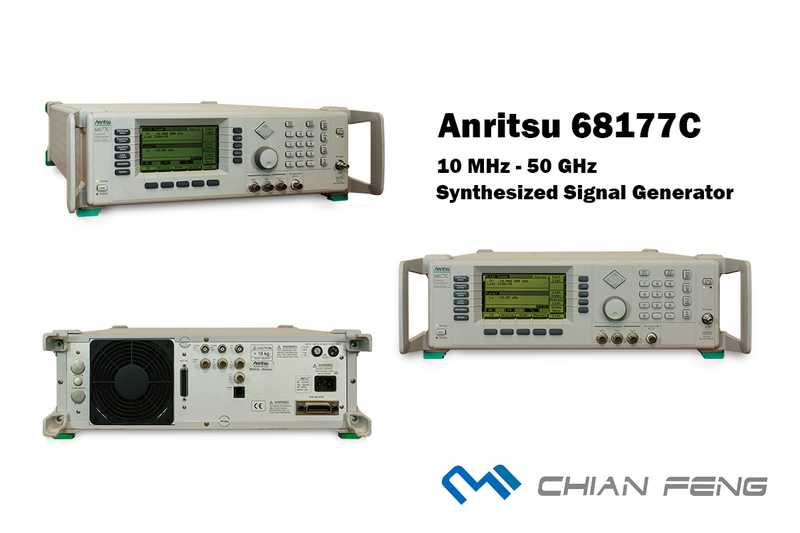 Anritsu Synthesized Signal Generator, 10 MHz to 50 GHz The 68100C series are your ideal component test signal sources. Analyze key communications, electronic warfare and RADAR components at baseband, IF and carrierfrequencies to 65 GHz. 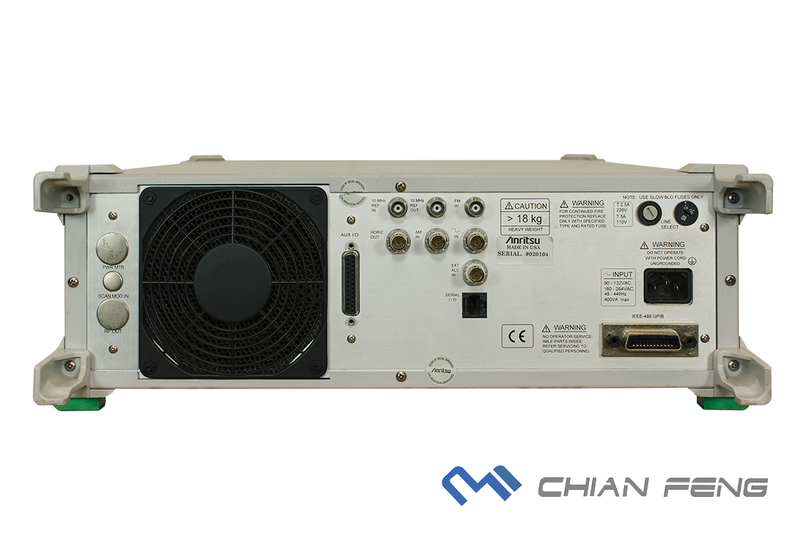 Analyze extremely high-Q components with the optional 0.1 Hz frequency resolution. 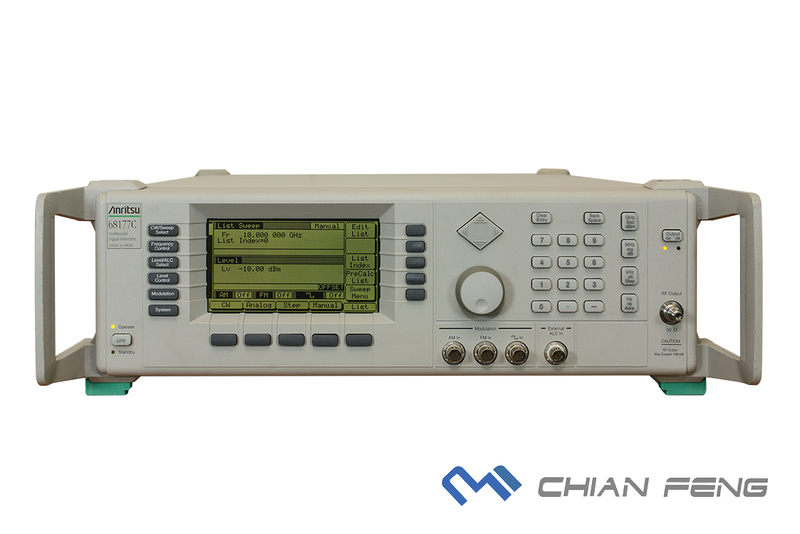 Step sweep mode delivers synthesized frequency accuracy, or choose analog sweep for the fastest possible sweep times.